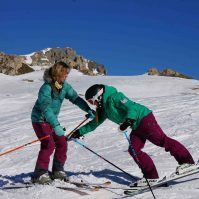 Skiing or après-ski, what and when you want at your pace, your instructor will show you the best Val d’Isère has to offer. 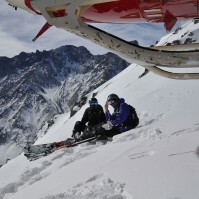 Val d’Isère and it’s famous off-piste is there to discover with your instructor or guide. They will give you an experience you will never forget. Drop off in Italy or pick up in the Maurienne Valley, just a few minutes’ flight from Val d’Isère. Val d’Isere lies in the heart of the French Alps, the Savoie region and the Tarentaise valley. It is also 5 km from the border with Italy and on the border of the Vanoise National Park created in 1963. It benefits from good transport links in and out of Lyon, Geneva and Chambery. As every alpine village, Val d’Isère was once a mountain village where farming was the main occupation. Skiing in Val d’Isère started in the 1930s when a drag lift was built on the slopes of the Solaise. This was followed by an aerial tramway (cable car). Val d’Isère regularly hosts World Cup alpine events in early December, and hosted the alpine downhill of the 1992 Winter Olympics and the World Champoinships in 2009. The ski area of Val d’Isère and Tignes forms the Espace Killy with an extensive ski area of 10.000 hectares and 300 km of runs. Its two glaciers (Grande Motte and Pissaillas) provide good snow conditions from November to May. Val d’Isère village centre offers cozy streets and a great variety of luxurious shops, fine restaurant, spas and nightclubs… Its magical après-ski atmosphere attracts tourists from all over the world. A free shuttle bus runs between the villages in the valley, providing free transport throughout the sites of La Daille, Val d’Isère centre, le Laisinant and le Fornet.